To try to do EVERYTHING at once. Shame there are only 24 hours in a day and we need to sleep sometimes. 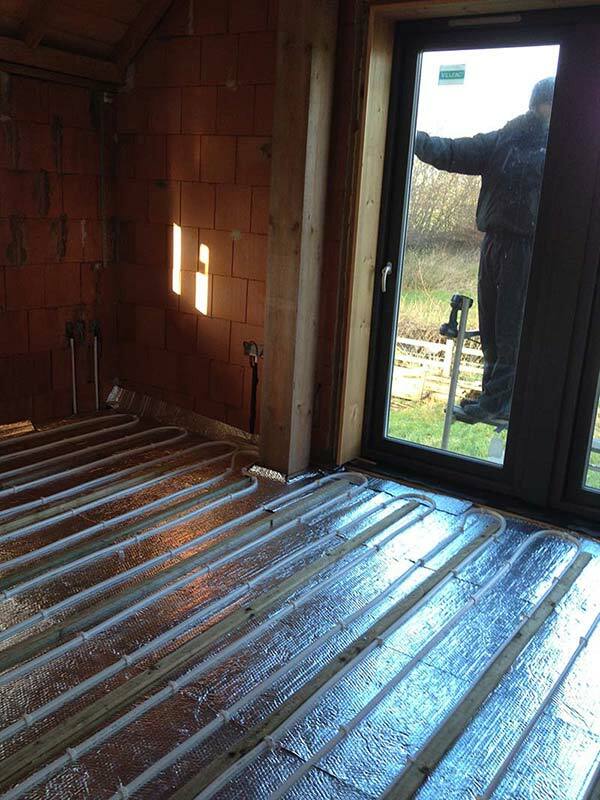 Finally, finally finally some pictures of house progress – we finished the first layer of the floor and now have underfloor heating installed upstairs. Renewable Innovations came back, and yes, that’s Mike Roberts back as well – we’re moving forward on all fronts. Final window moving onto the house next week. 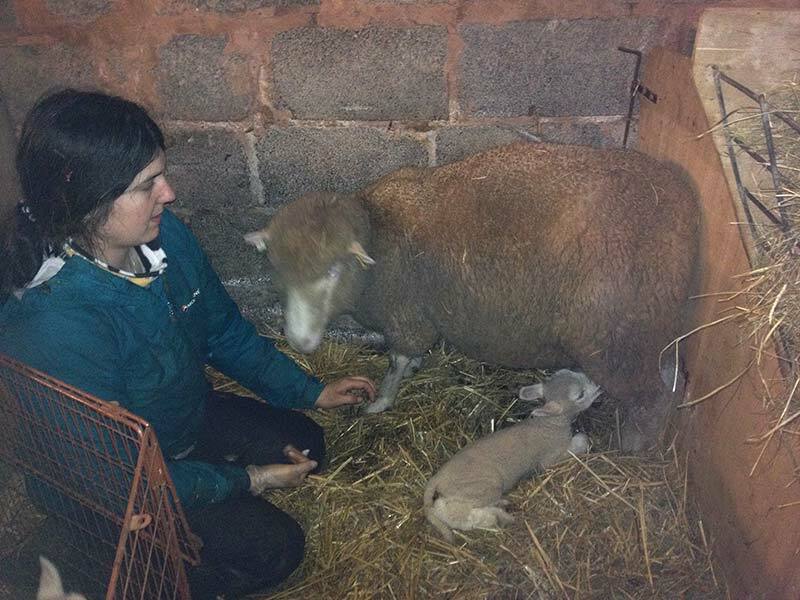 And I do mean ALL fronts – Clare is lambing and Tara is teaching us all about it! This, below, was last Saturday night. 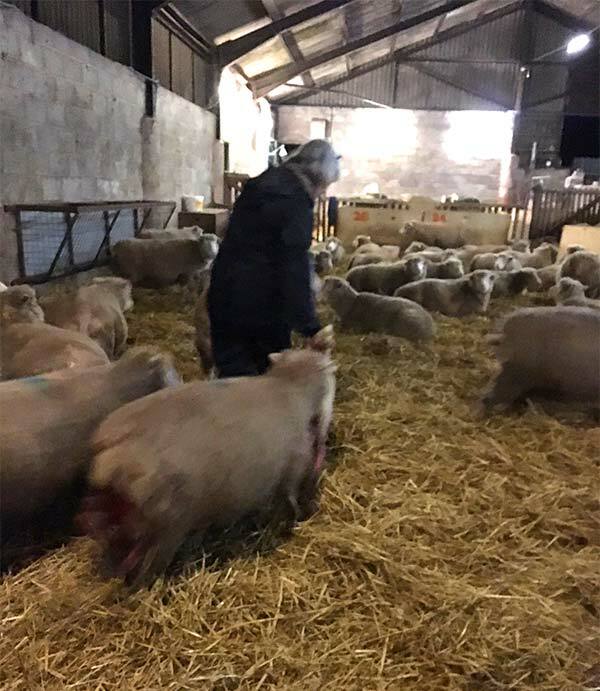 First task for Tara’s apprentices is to move the Ewes with the older lambs into groups. 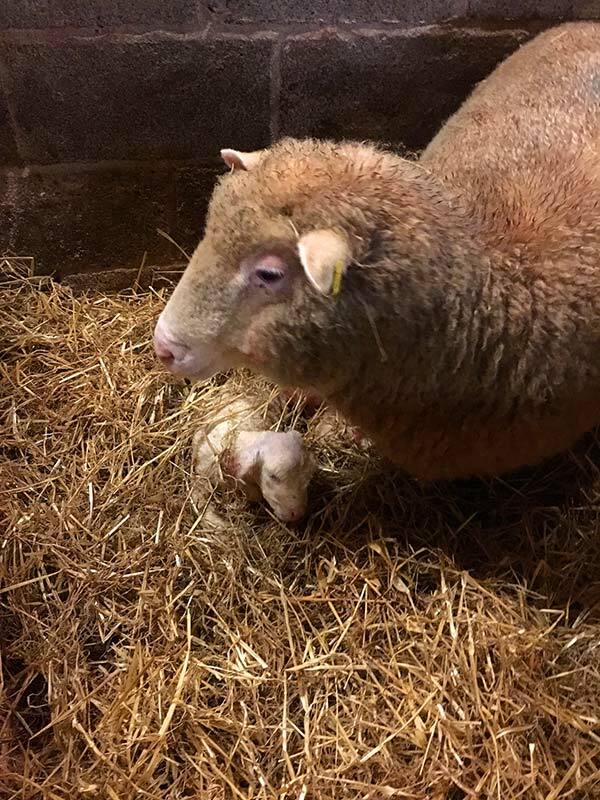 Sheep are very sociable. 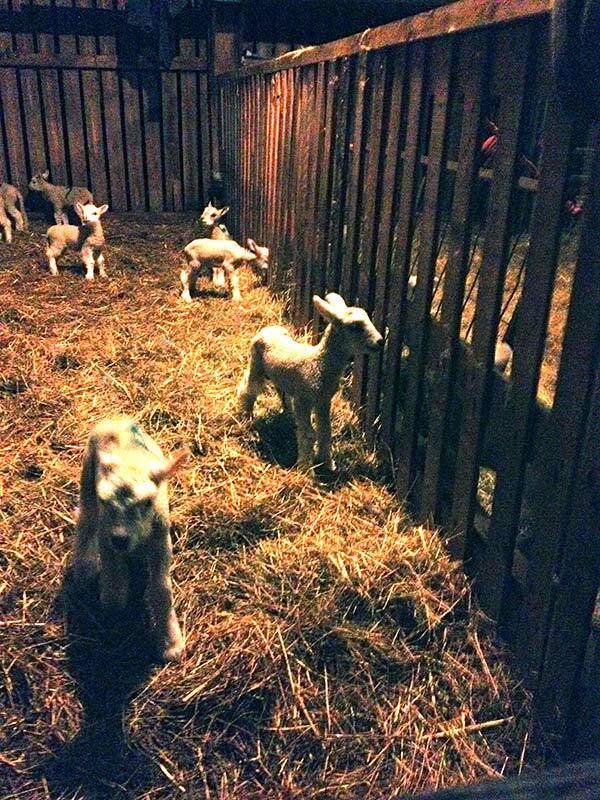 These are slightly older lambs. 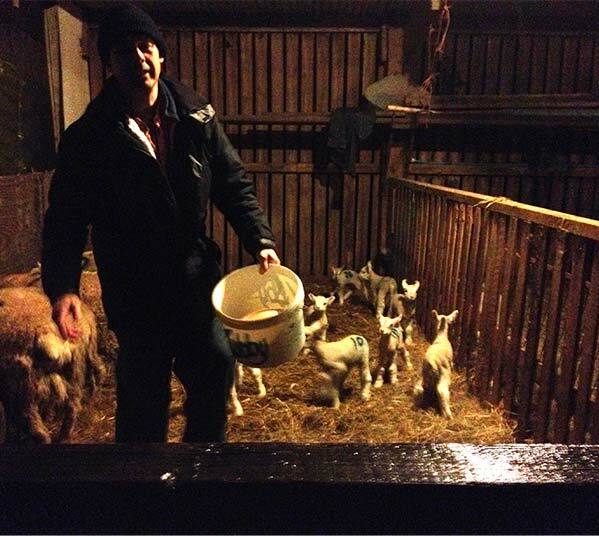 We got to give some cake to the happy Ewes. 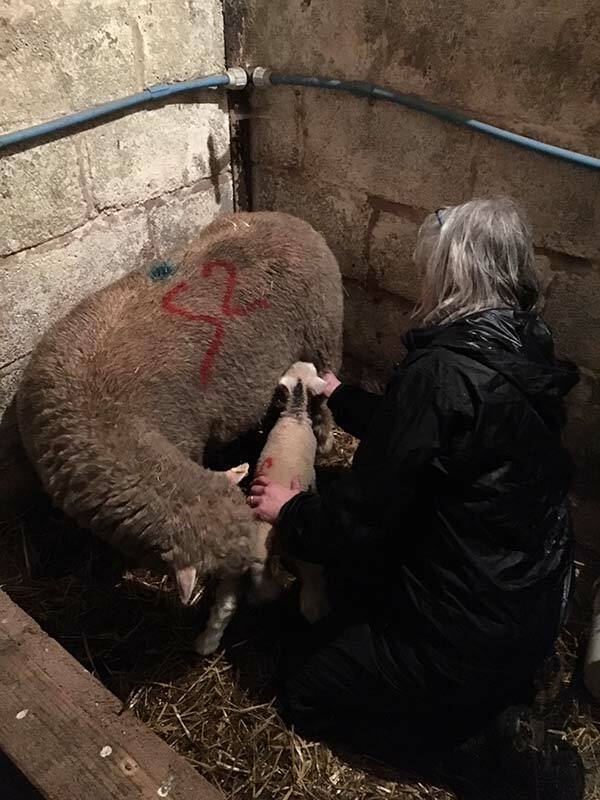 When the lambs are first born, Clare and Tara put them into pens with their mothers. 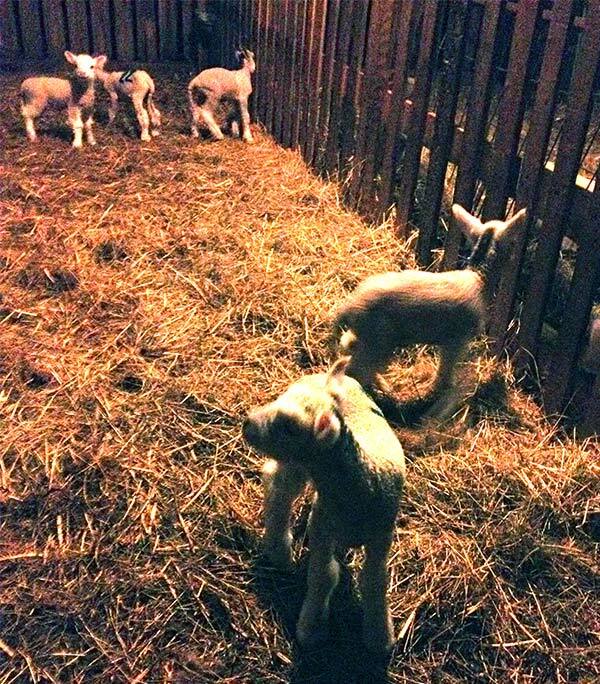 This is so they can check that the lambs are thriving. 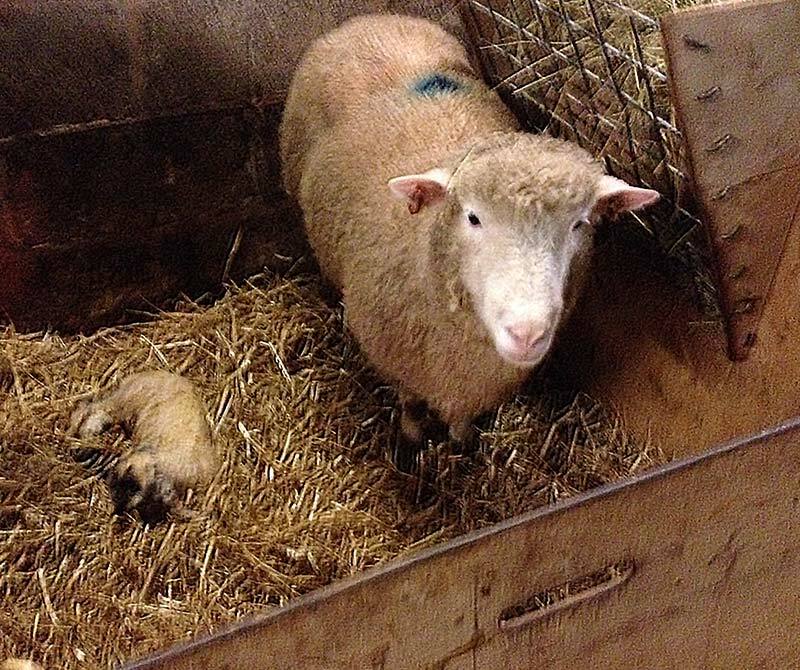 Some new mothers don’t take to this mothering lark immediately. 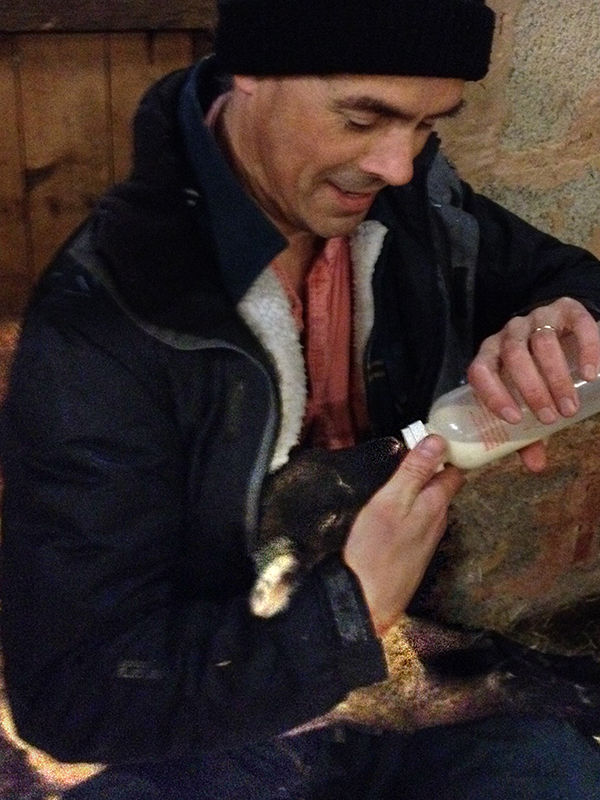 Here is Mike learning to bottle feed a lamb. This is something I never knew was a problem. 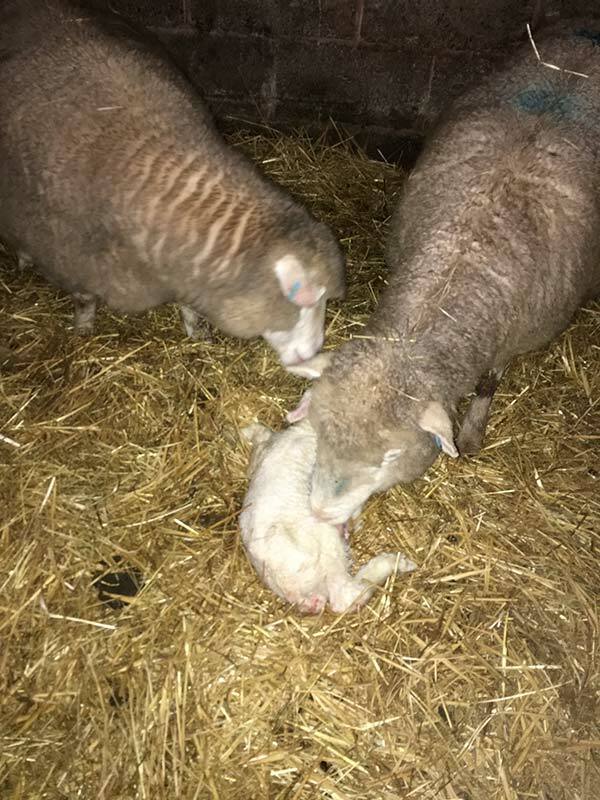 Sometimes a lamb will suckle only on one side. 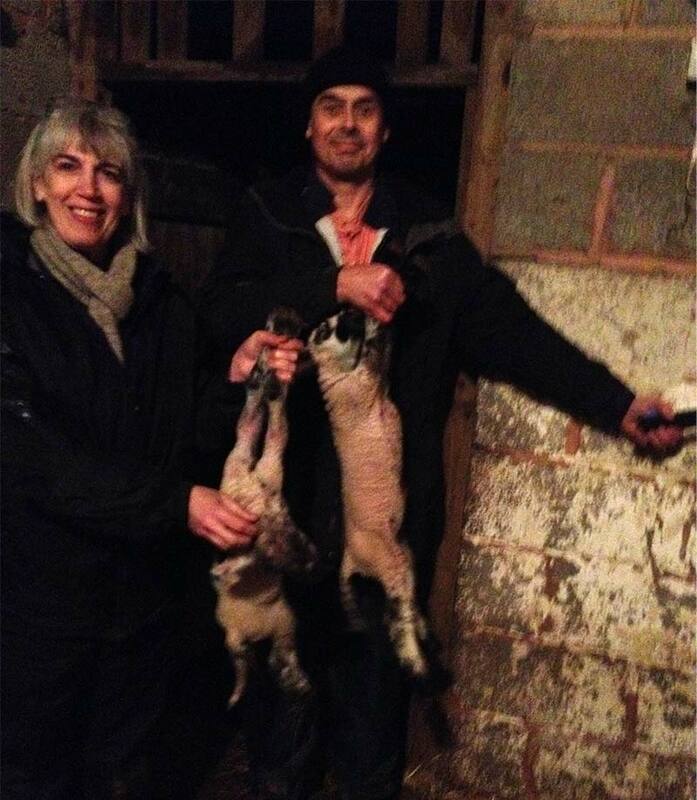 Because the lamb is tiny it may just milk out one side of the udder. 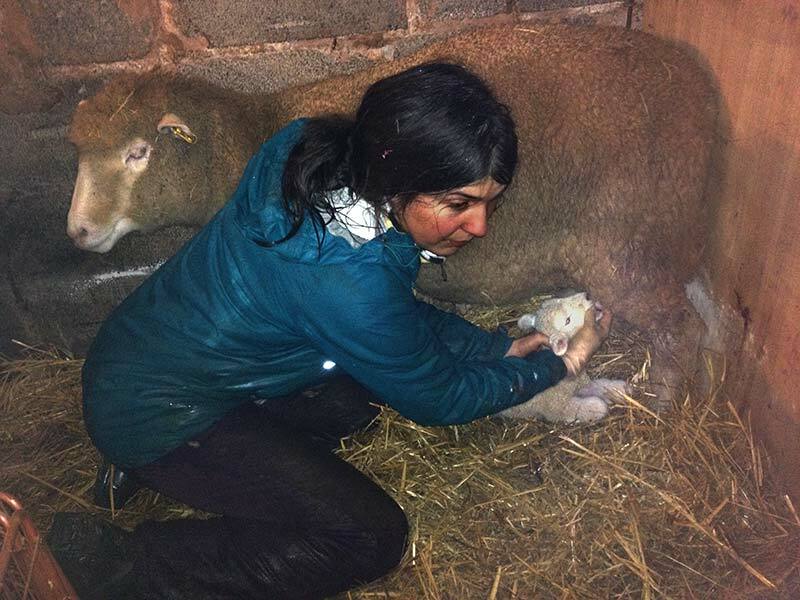 How can I put this – Tara describes this as educating the lambs that big teats are good. It doesn’t take much to persuade them, just a bit of gentle direction then they get the idea. 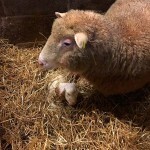 Plus this is much more comfortable for the Ewe. 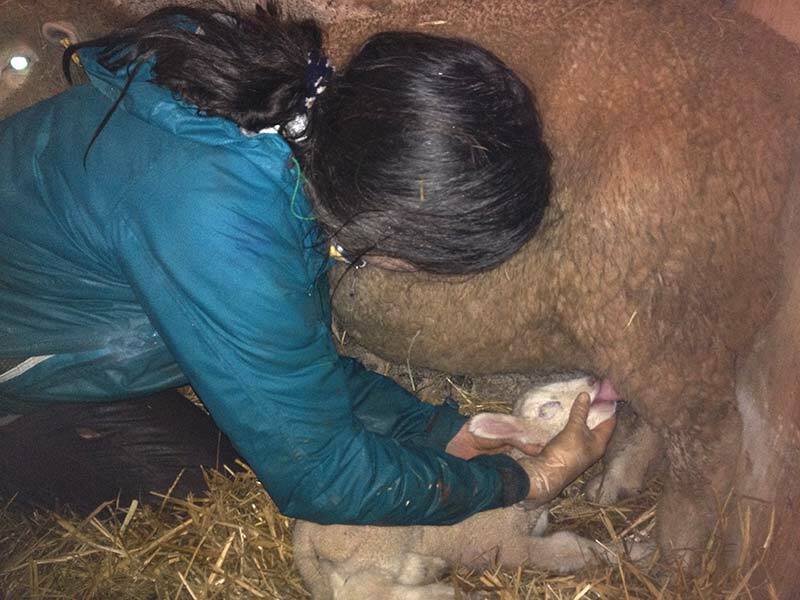 She can get mastitis if both sides aren’t milked out. My turn next – I seem to have succeeded!